Discussion in 'W.A. 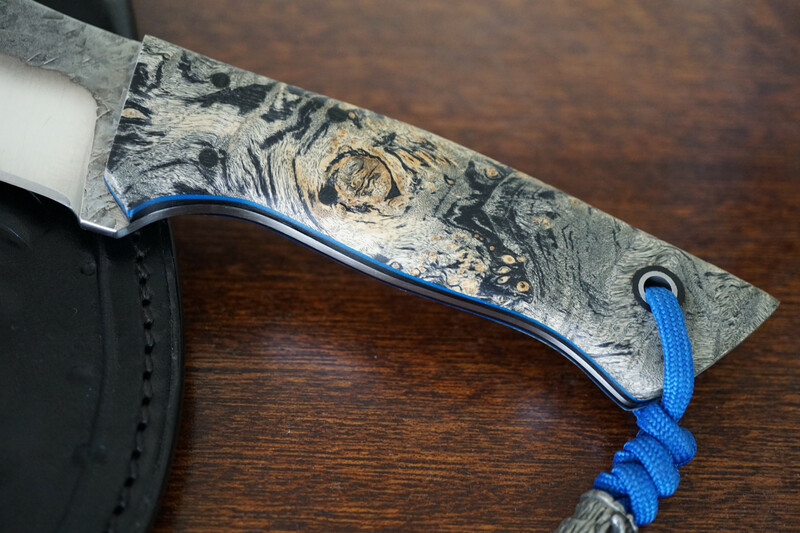 Surls Knives (formerly WAS Knives)' started by allen456, Jan 25, 2015. 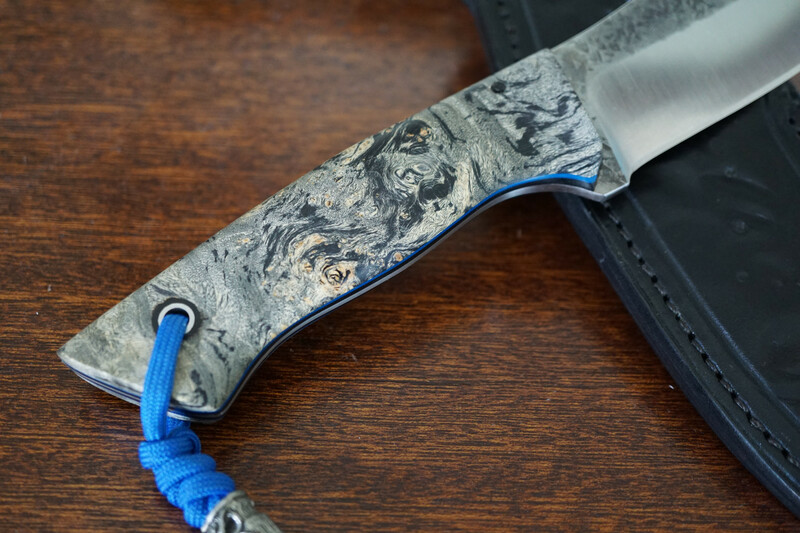 For your consideration a new & unused Kodiak with nicely figured Black Box Elder Burl over black liners w/ Blue g10 pinstripes, tapered tang, hollow ground on 5/32” thick CPM154 steel. 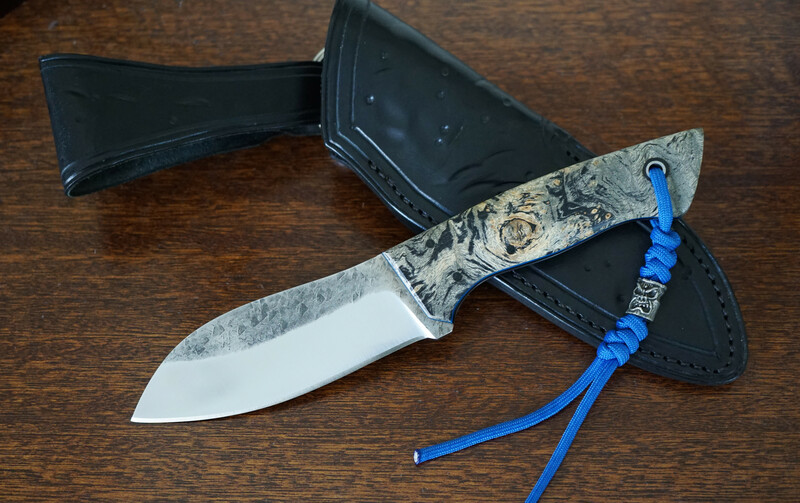 Being offered together with an awesome dangler sheath custom crafted for this knife by Rick Lowe. Package price: $310.00 which includes USPS priority shipping and all PayPal fees. Sorry no trades or international shipping. Buyer is responsible for compliance with local knife laws. If you have any questions feel free to contact me via PM. Nbrackett, Warrior108 and Choppaman like this.